Discussion in 'LGHL- New Player Information Forum' started by Tris10, Oct 3, 2016. Exciting news, we finally have the single biggest feature we've all been waiting for, a direct API to EA Sports for stats. This means no fumbling with screen shots, OCR, twitter or your phone to prove stats. This also means managers no longer will need to correct stats or spend hours fixing and managing their organisations stats. This is the killer LG Feature we've all been waiting for. Everything else we get from the API. How it works is simple, the user selects the LG Game, then types in the "EA Sports Club" their LG game was played on, That brings up a list of the last 5 games that EA Sports Club played. The user simply needs to select which EA Sports Game is connected to the LG Game. We could do things like team records, season achieves now, now that players wont accidentally be given 1000 goals for a single game by accident ect. Make sure all your Xbox Privacy settings are set to everyone for "See your game clips". Make sure you are either signed up for the LG game (either unconfirmed or confirmed) using the signup system. 1. Team Stats - Example. 2. Period Stats - Example. 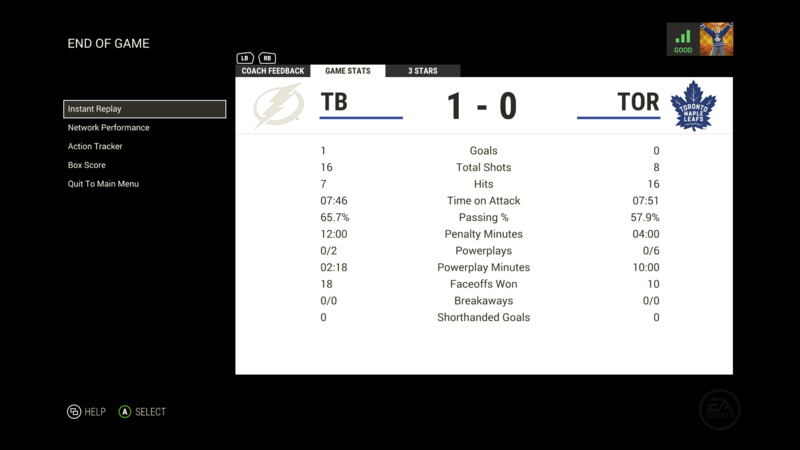 For Player stats, we use the new NHL 17 player stats screen that has gamertags and all 12 players on a single screen shot. We require 2 images here to get all stats. 3. Player stats (scroll so PIM is highlighted) - Example. 4. Player stats (scroll FO% is highlighted) - Example. Tips for taking screen shots - Do not take a screen shot with any screen overlays over any part of the stats, ie notification popups. If there is any blockage of the stats table the OCR will not be able to find where to start , or what stats are for what columns. Once in the "OCR", follow the steps outlined. First step is to search all screen shots from players in the game. 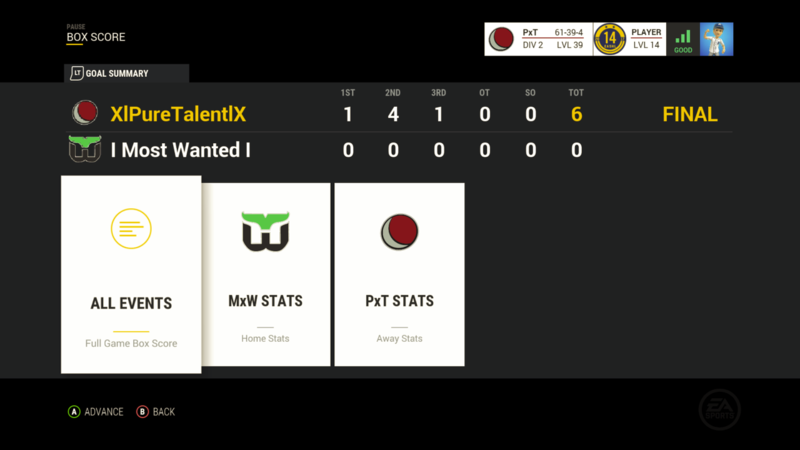 The 2nd step is for the old player name system, if your screen shots are from the new NHL 17 stat system, skip this step. The 3rd step is to search for images, select them by clicking on them and selecting the type of image its for (Team Stats, or Period Stats or User Stats ect). Last step is submit and save the game stats. If for whatever reason the OCR does not include a player, or adds an extra digit or does an 8 instead of a zero for example, its up to the managers to manually edit and correct game stats. They can do so by viewing the game, and there is a link at the bottom of the game to edit stats. If a game requires any type of restart, simply take the 4 screen shots to capture the state of the game at that point. Then when the game is over after the restart, take the other 4 screen shots. In the OCR you can create a partition where you simply select which set of screen shots or for what periods played. Here is a video of how to use the OCR from NHL 16, the process is basically exactly the same except we use the new NHL 17 menu for screen shots. If you have any questions, please post below and we'll update this document. What if there happens to be a situation where everyone in the game is in Canada? Cortana isn't available for Canadians, and I personally have never gotten the screenshot feature to work for me once since buying my xb1 slim (early September). Ya you can use the old way, but uploading images via the manager tools do not get processed by the OCR. I'm in the xbox preview program and tried taking screen shots yesterday and it worked 100% of the time, so it might even be fixed in xbox's next update. I'm unable again to take screenshot i'll try today and didn't work again. And i can't use cortana because I live in canada. What should i do with it??? Change your location like I did. I also called them and removing my GT and re adding to console made mine work again. Haven't noticed issues with it, if you have @Slugger921 can you post some examples? I remember one time it gave a player an extra assist. I could be wrong. Don't have pictures and haven't seen it since. Will post here if I see it again. not sure if this has been mentioned somewhere or not but, i have noticed that PPG and SHG are not listed in the player stats (after game) ... if they are i didnt notice but there are no player stats in leaders for either unless we have to manually add them ourselves. The Hershey AHL preseason game from Wednesday is an example. I have an assist on the books in the picture, but none on the stats here. Unless it's been fixed since I saw it earlier. Not sure if it was posted here, but for Canadians, just change your region to English (United State), restart your xbox, Cortana will work.